Grassroots globalization – not corporate globalization! While capital and wealth flows freely across borders, the elites construct barriers to free movement and human connection. 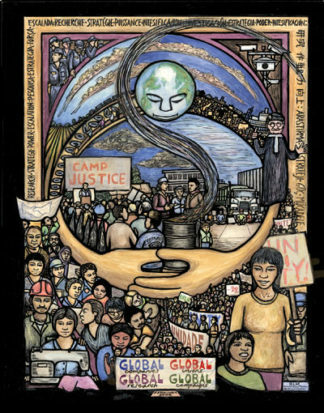 Through worldwide solidarity we can build global movements for change from the grassroots.